The Red Haven – the peach that every other peach is judged against. By far the most well known variety of peach in my neck of the woods. 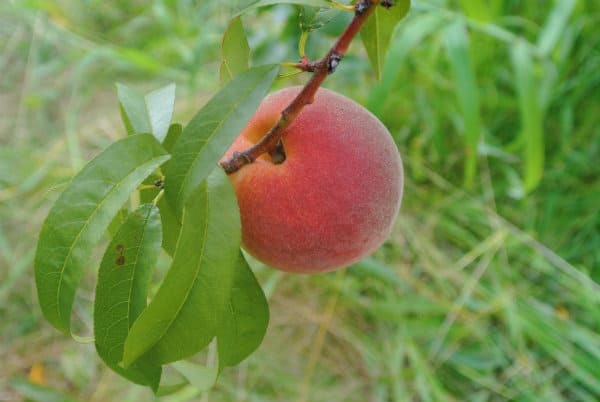 People eagerly anticipate this peach every year – they go wild over it. The season is a short one, so when they are available you need to grab them fast. Another thing to factor in is the very mild summer we have had here in the Midwest. I have yet to see a 90 degree day this summer at my house, which is very uncommon. The ripening process of the peaches has been delayed. So not only is the crop not abundant this year it is also later. I managed to pick up some Red Havens from Virginia at a store while I was in Shipshewana, Indiana. 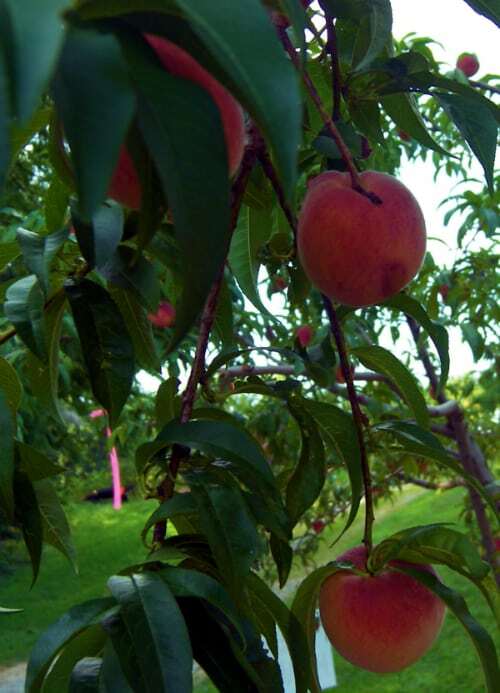 What is Difference Between Red Haven Peaches and Early Red Havens? You may have heard people saying they have early Red Haven peaches. What is the difference? It is either a strain that ripens two weeks early that is clingstone or another variety in the Haven series that is using the Red Haven name to generate sales. August is the month to find true, freestones (most years) Red Haven peaches. Here are some things I have heard about Red Havens from various farms and markets. None of the vendors at this market are selling any peaches this year. My mom was at the farmer’s market in Port Huron on Tuesday, August 12th. A vendor told her that she would have Red Haven the following week. They began offering u-pick on Red Havens on August 9th and ran out of u-pick on August 16th. They still have already picked Red Haven available in this market as of this writing. Also had Red Havens available for picking starting the 9th. They have Red Havens peaches in stock as of this writing. Previous Post: « Where to Buy Cotton Candy Grapes in 2014?